Copper Braided Sleeve available with us is difficult to find else where in the market. 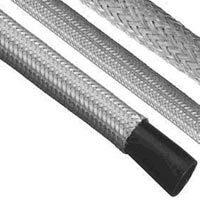 The extensive use of the Copper Braided Sleeve has given a boost to its demand in the national market. The Copper Braided Sleeve is manufactured as per market and customer standards. Made using advanced technology, the durability of our Copper Braided Sleeve has made us reliable name in the market. We make Copper Braided Sleeve available in a diverse range at affordable market prices. 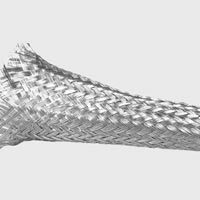 The Flexible Copper Braided Sleeve is in high demand in the market owing to its accurate profile and dimensional accuracy. 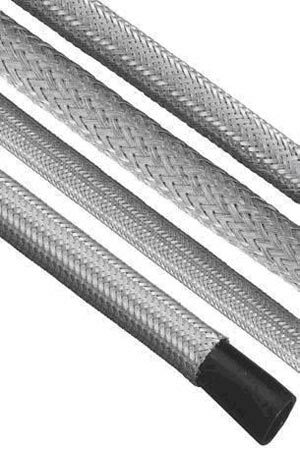 Competitively priced and high quality Flexible Copper Braided Sleeve has placed us in the elite group of Braided Sleeve Manufacturers and Suppliers from India. We make available the Hi-Flexible Copper Braided Sleeve both in off-the-shelf and custom designs in commercial and military-grade materials to ensure quality and integrity, from prototype to volume production.